After several runners-up places in the 2012 Summer League, John Chandler finally took an event win in Ballyannon Wood in his native Midleton. 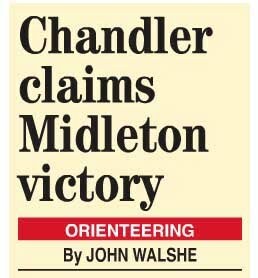 This win sees him capture the headlines in the Cork Orienteering Club Summer League report in Saturday, July 7th Evening Echo. Thanks again to John Walshe for another great feature. If you missed it in the print edition you can read it below.